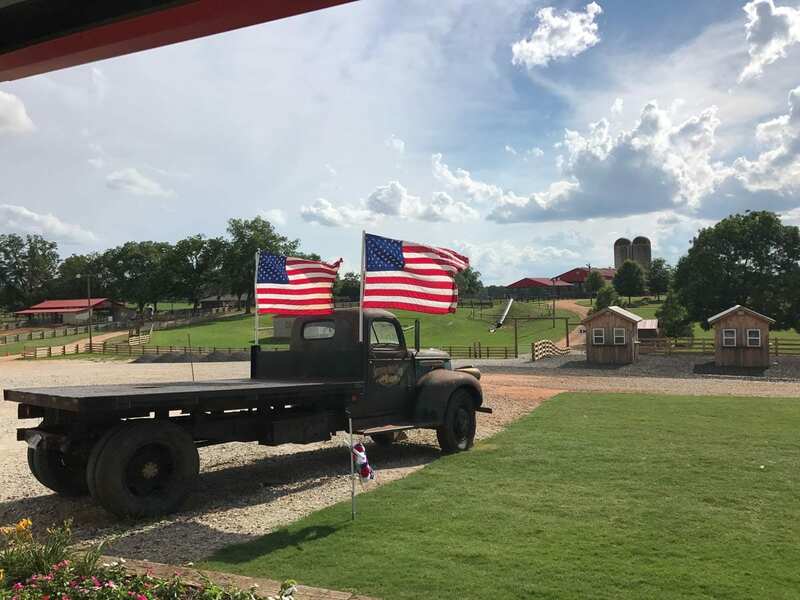 Opening Weekend at Southern Belle Farm – Celebrating 80 Years! September 22, 2018 marks the 80th anniversary of Southern Belle Farm. That’s right—80 years of farming, family heritage, and growing our farm into what it is today! We are celebrating our anniversary with $8 admission during opening weekend: Saturday, September 22, 10am-9pm and Sunday, September 22, 1pm-6pm. We want to offer this admission discount as a thank you for helping us become what we are today. We could not have come this far without your support and love for our farm. Keep reading to learn more about our fall season and what you have to look forward to! 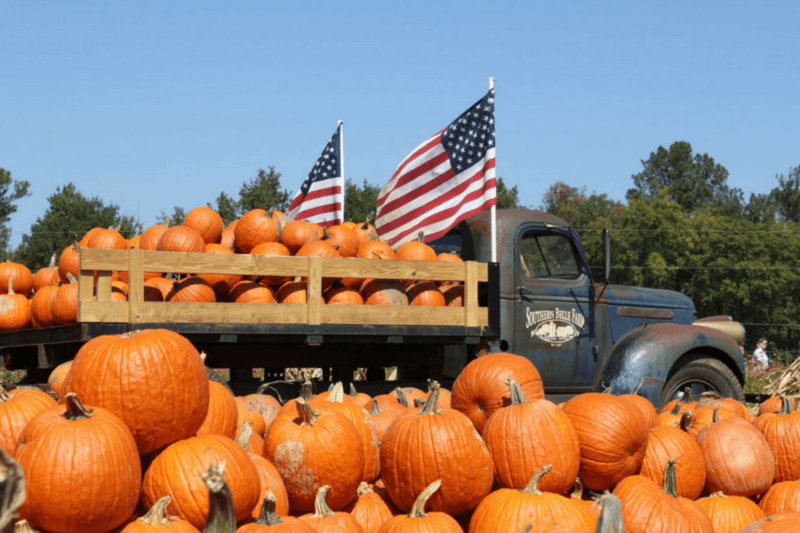 Celebrate Fall at Southern Belle Farm! If you enjoyed summer at Southern Belle Farm, return for our fall season! 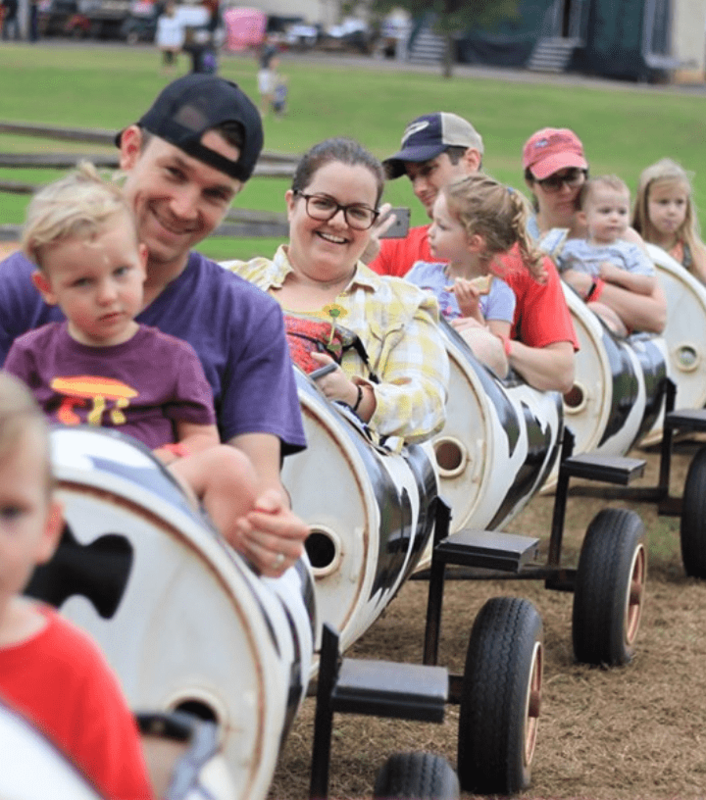 Every year, visitors come from all over to experience our pumpkin patch, corn maze, and tons of attractions from hayrides & pedal carts to pig racing. Bring your friends and family to enjoy the cool weather, delicious fall treats, and an evening of fun on the farm. 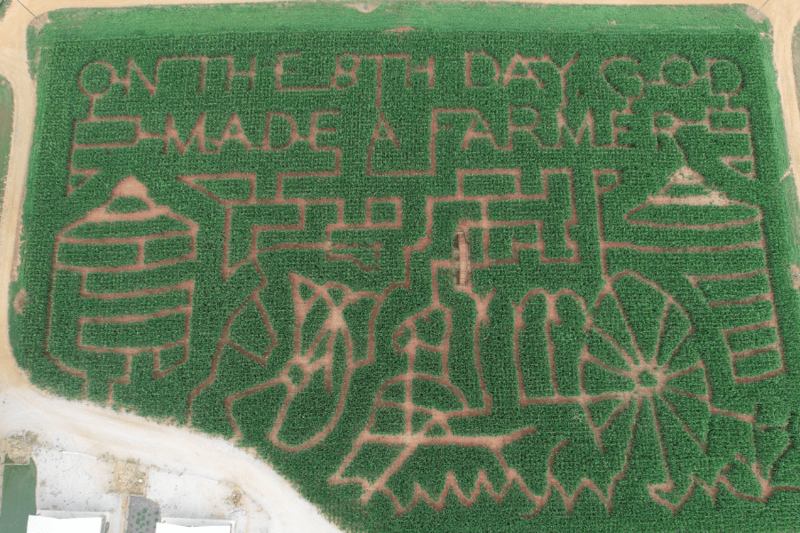 Were you able to guess the theme for our Corn Maze? This year, our theme is “On the 8th day, God made a farmer!” This is a tribute to all farmers and we can’t wait for you to try your best to find the exit! We even put together a short video about our corn maze and how we feel about our farm and farmers everywhere. Coming to the Farm this Fall . . . Wander through our pumpkin patch and pick out your favorites for carving, painting, and fall home decor! 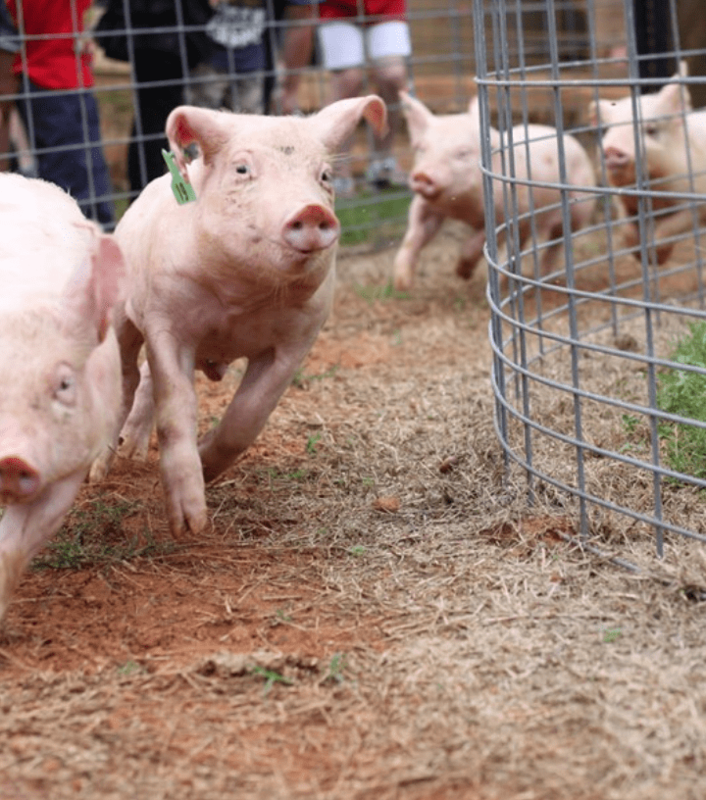 Have you ever seen any of our Pig Races? You’ll be cheering and rooting these guys on as they run and swim towards the finish line! All aboard the Cow Train! 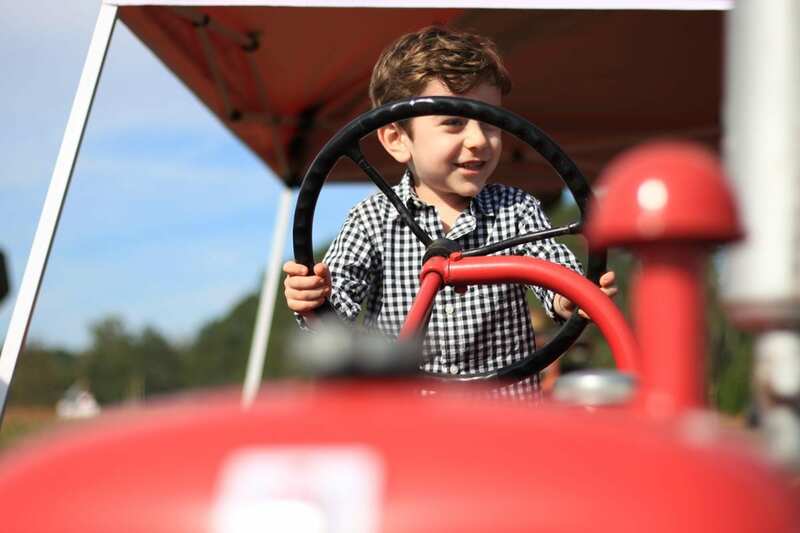 Take a ride around our farm during your visit. The fun doesn’t end there. 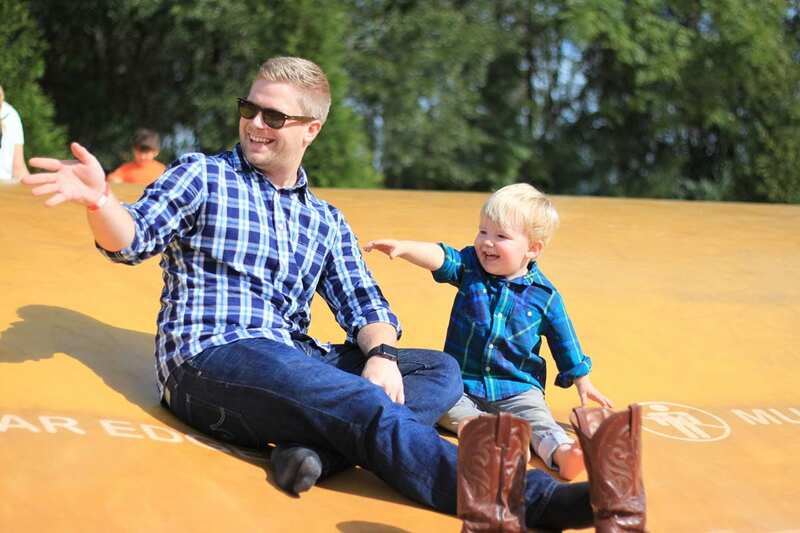 Southern Belle Farm is full of games and activities for all ages to enjoy. Learn about all of our Fall Activities before you stop by. Pumpkins aren’t the only thing you can pick for yourself at Southern Belle. 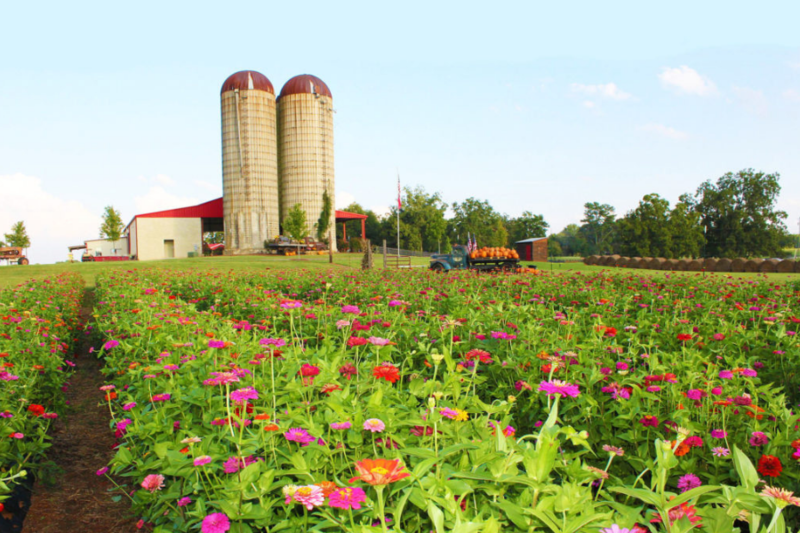 Pick a bouquet from our U-Pick Flower Field! Did you know that you can reserve one of our fire pits? Enjoy a cozy autumn pastime during your visit! *Farm admission must be purchased separately from Campfire package. 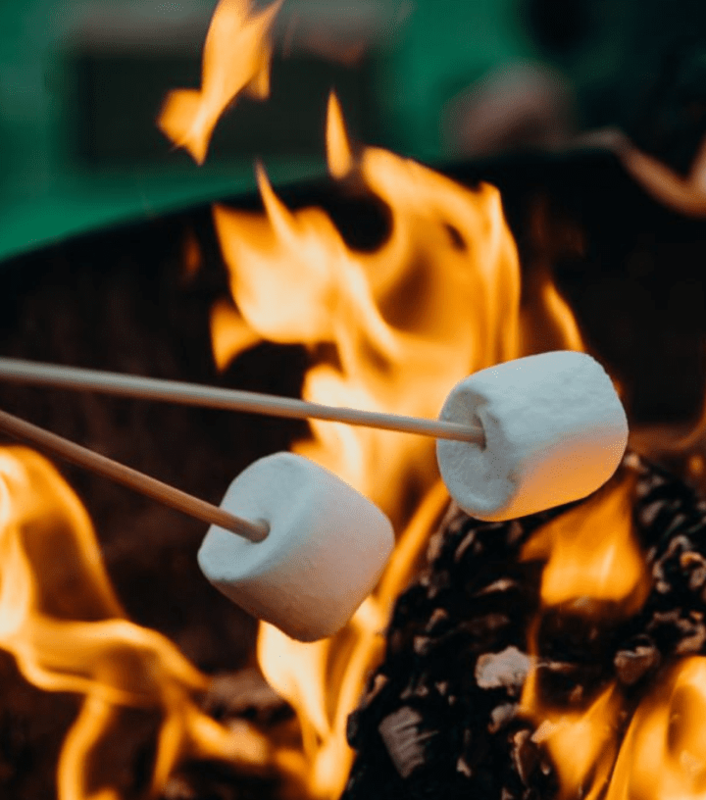 Reserve your campfire experience today! Everyone here at Southern Belle Farm is anxiously awaiting the fall season! There is going to be a lot to do, see, and eat and we can hardly wait to share everything with you. What are you most looking forward to? Tag us on Facebook, Instagram, and Twitter to let us know!